In the show Pardon the Interruption, there is a segment called 5 good minutes where they invite a guest to speak for 5 minutes about thes state of his team, game, and so on. I am going to name this segment 5 bad minutes because that is all that game I played last night came down to. My team didn’t play well, but more importantly, I didn’t play well. It was a sucky way to end the season, but in the scheme of things, it was nothing. My job, family, car, and so on take precidence, and it would have been nice to win that game last night. However, I have to keep things in perspective. Especially with so much still at stake over the next few days. Tonight my Dragons will try to seal up 2nd place in the division and a first round bye in the tournament on Saturday. 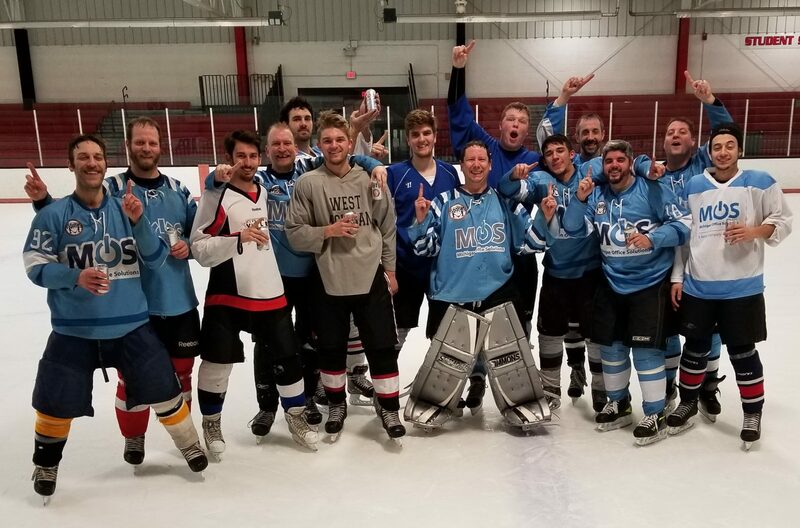 Then, later tonight, the team I am subbing for in the intermediate ice hockey division will go after another win and advance to their finals game next week. I am going to work on my butterfly today at both my games. I have to drive my knees to the floor faster than I have in the last 6 months. I have to make sure my stick is in the right spot. I haven’t played well maybe because I have felt that my game is where it should be. I got sloppy, fat, and maybe a little lazy. Its time to change those habits. One thing I won’t be doing is having a mental meltdown. I won’t be retiring from the game or calling it quits. I have more hockey left in me, and more time to accomplish this ice hockey championship goal. Most importantly though, I have that rollerhockey tournament to play in on Saturday.